The Boston Landmarks Orchestra is committed to removing barriers of access for all people with disabilities to enjoy its concerts. It offers braille, large-print, and text-to-speech versions of its program books, assisted listening devices, and ambassadors to greet and assist people at a designated drop-off point. The orchestra works with American Sign Language (ASL) interpreters as performers at select concerts. Rather than providing direct translation of the spoken word, interpreters communicate the feeling of the music and the remarks given during the concert. The orchestra regularly offers performance and learning opportunities for youth with disabilities and draws upon the support of organizations and agencies that serve people of all ages with disabilities in the Greater Boston area. Members of this community have emphasized that the Boston Landmarks Orchestra’s programs give people with disabilities access to experiences in the arts that are traditionally unavailable to them at mainstream performances. The information below is meant to serve as a reference for people with disabilities who plan to attend the orchestra’s concerts at the DCR’s Hatch Shell on the Esplanade. The Landmarks Orchestra invites you to call (617) 987-2000 or send an e-mail to [email protected] for more information or assistance, or if you have any comments or suggestions. For the story behind the work click here. For the text of the “I Have a Dream” speech, click here. The Massachusetts Department of Conservation and Recreation (DCR) and the Massachusetts State Police provide a designated drop-off location next to the Hatch Shell on concert nights. 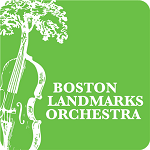 The Landmarks Orchestra has volunteers available to assist anyone who welcomes it at this site, and DCR staff with golf carts are available to bring audience members with disabilities to and from the drop-off location. There is also limited handicapped parking along Beacon Street near Arlington Street thanks to the City of Boston’s Commission for People with Disabilities. There is no parking allowed on Storrow Drive. We strongly suggest contacting The RIDE for assistance with transportation. From Charles / MGH Redline Station: The walking distance from the subway station to the Esplanade concert area is just under 1/2 mile, or 2,480 feet. The subway station is accessible and meets State and Federal access standards. The pathway to the concert area however has some issues. The path from the station to the footbridge over Storrow Drive has ramps with slopes that exceed the standards in both length and grade of slope. For some individuals the climb up the bridge could be very difficult. The bridge is 717 feet from Charles Circle to the Esplanade end, 316 feet of which is uphill with grades as much as 10%. There is one level area at the second turn of the ramps on each side. The first turn going up the bridge is not level, the second turn does provide a level space. The distance from the beginning of the bridge to the first level area is 106 feet. From the Arlington Station, which is also accessible, one arrives at the Hatch Shell via The Fiedler Footbridge from Beacon Street over the westbound lane of Storrow Drive. It is 686 feet in length, and leads directly to the concert area. The first 319 feet of the bridge is uphill, the slope of which varies, but at the steepest is as much as 9.7%. There are two level areas at the turns before the ramp on each side. The first level area on the ramps is 63 feet from the beginning of the bridge. There are both men’s and women’s restrooms in the back of the Hatch Shell itself. Each restroom has a 1/2 inch rise at the entrance. There are accessible stalls and sinks, but no lowered urinal in the men’s room. The orchestra has arranged that an additional portable accessible bathroom is available on concert nights.